The Axis single input and output modules are loop powered and designed around a fully digital protocol. Each module allows monitoring of fire alarm and auxiliary devices and provides control by closing contacts of auxiliary devices such as fire shutters. The input channel is monitored and will detect Normal / Short / Alarm and Open conditions. The output channel is also monitored and will detect Open and Short circuit conditions. 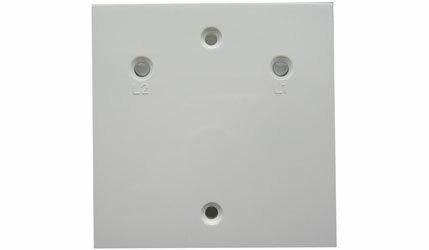 The unit is supplied fixed to a plate which is suitable for wall mounting with a choice of standard 25mm or deep 47mm mounting boxes available.